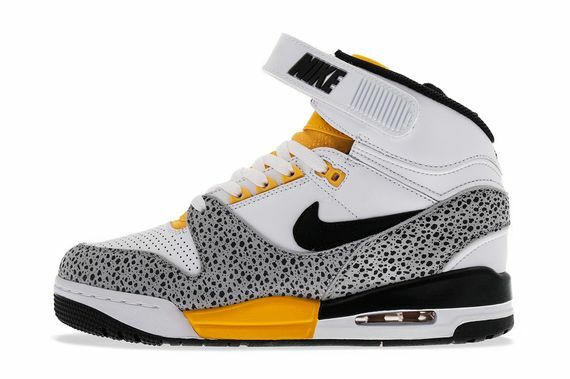 We got a peek at this killer rendition of the Air Revolution from Nike a month or so ago, but we’re back today with a better look and a confirmation, exciting news for Air Rev fans who’ve been waiting to see some sick colorways hit what, so far, has been a pretty basic set of offerings for the classic silhouette. 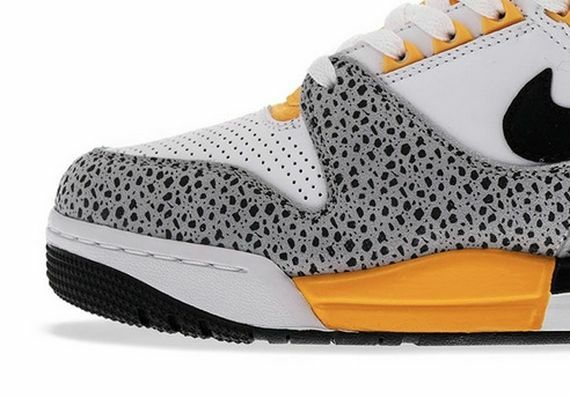 This mostly white uppered sneaker gets bold punches from a select few patches of University Gold and a swath of grey/black super-sized Safari print. If this is the aesthetic for you, be sure to head over to Titolo now and cop a pair of two. More photos after the jump.